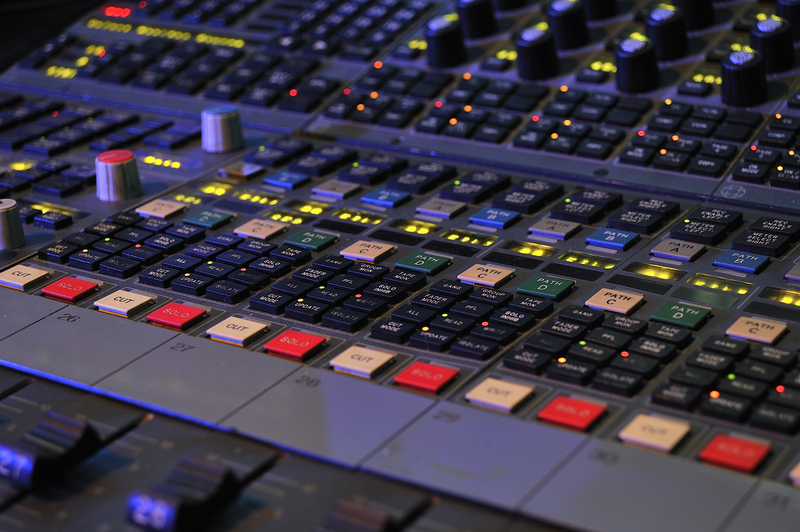 The main audio studio centres round a 208 input AMS Neve Logic 2 console with the Film Panel option installed. This gives a monitoring matrix for every 5:1 and 7:1 monitoring combination. Convertors are by Apogee, AMS, Benchmark and SSL and all audio is carried by MADI throughout the building. Storage is handled by the Facilis Terrablock 24D with 8 gig fibre connections to every room in the complex. Monitoring is handled by The Blue Sky Big Blue 7:1 system and tannoy, PMC and ATC monitors. There is a voice over booth in the main room and connecting doors to the larger studio next door for larger Foley projects. 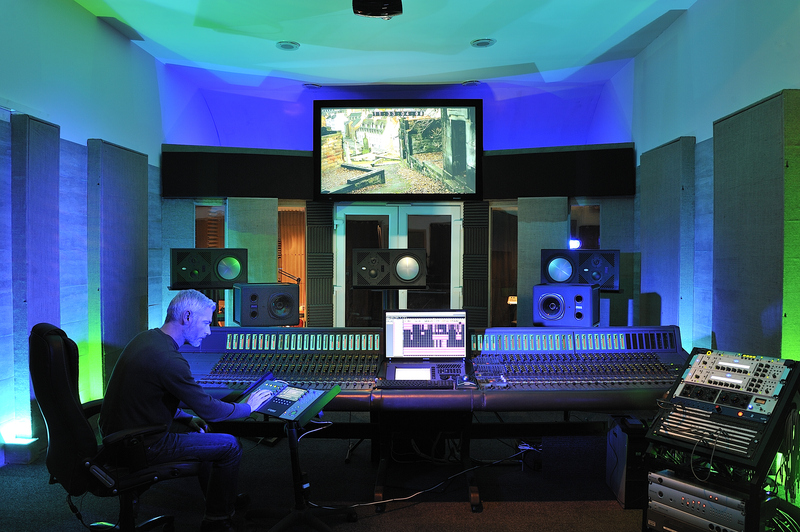 The studio is fully equipped for ADR and runs Steinberg Nuendo 7 and Avid Protools software. There is a large selection of microphones and outboard gear and 1080p projection is pushed to a Stewart Cinema screen. Frame accurate sync is handles by Avid SyncHD and additional playback is from a Doremi Post playout system. Give us a call to discuss you requirements. Benchmark Stereo Master DA convertor. Various Orban Compressors Eq's and Filters. Pro Tools 10 HD and Nuendo 7.5 with ADR upgrade.